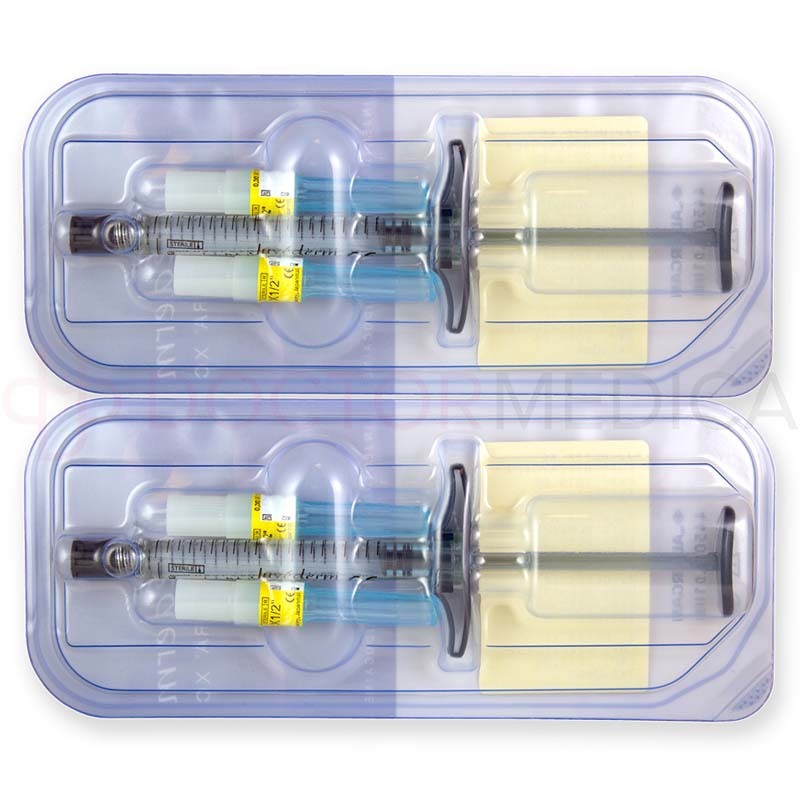 Doctor Medica stocks a wide range of medical and aesthetic supplies, all available at low wholesale prices. 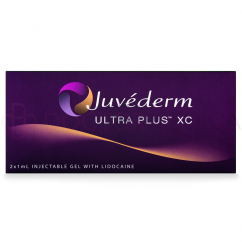 Order Juvederm Ultra XC through the website, by phone, by fax, or by email. 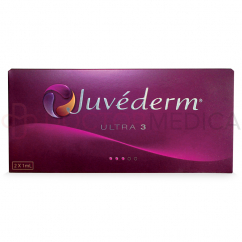 Juvederm Ultra XC is supplied in 2 individual 1ml treatment syringes and comes with 4 sterile 30G needles. A product insert is also included. 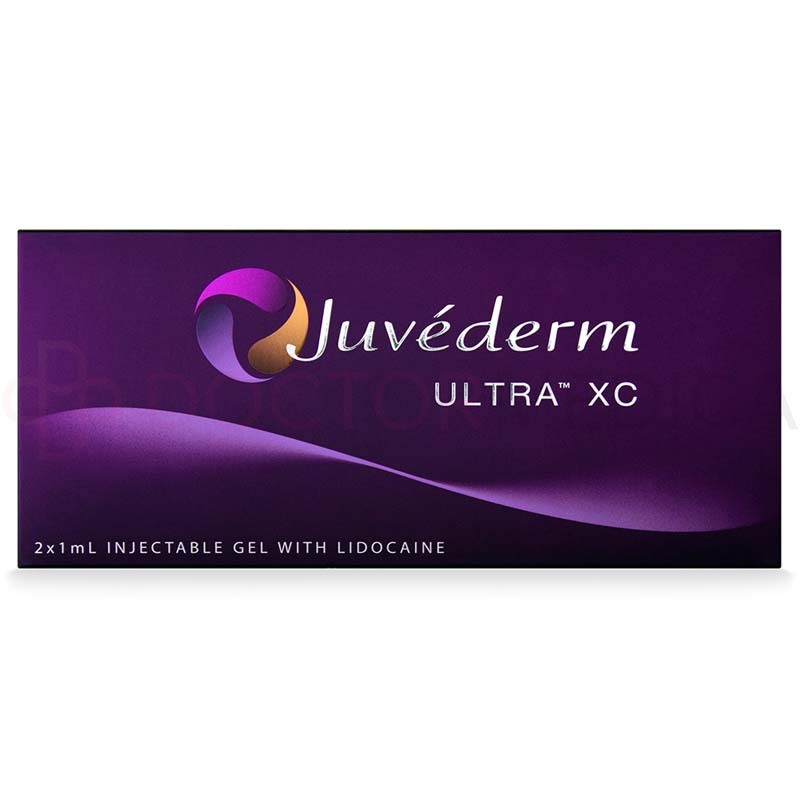 Valued for its ability to provide natural, long-lasting results, Juvederm Ultra XC is an FDA-approved filler that is effective in treating moderate to severe facial wrinkles and folds. 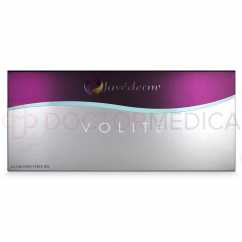 Not only that, Juvederm Ultra XC is also FDA-approved to increase lip fullness. You may also know this filler as Ultra 2. Immediately soften deep wrinkles and folds with results that are noticeable yet natural in appearance. This injectable gel also contains a small quantity of local anesthetic that is meant for the reduction of pain during the injection. 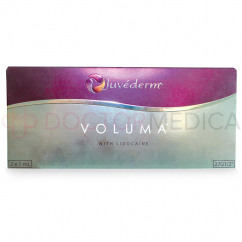 Cross-linked sodium hyaluronate 24mg/ml, physiologic buffer, 0.3% lidocaine. 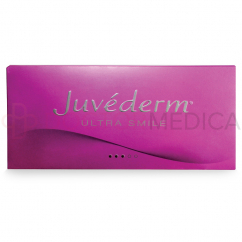 Juvederm Ultra XC helps counteract facial signs of aging by smoothing moderate to severe wrinkles and folds. This dermal filler is made of hyaluronic acid, which is a naturally occurring sugar that helps to replenish hydration in the skin when implanted due to its water-retaining properties. The filler also plumps skin by restoring lost volume, filling skin depressions to provide a smoother and more youthful look. 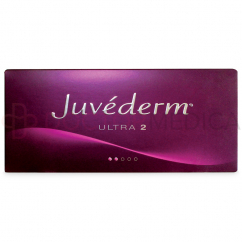 Juvederm Ultra XC may only be used by legally authorized medical professionals trained in the appropriate injection techniques for filling wrinkles. Before the treatment, obtain the patient’s medical history, and fully inform them about the expected result, indications and contraindications, precautions, and potential side effects of treatment. Inject this product into non-inflamed, healthy skin that has been sanitized with an antiseptic agent. This product should be injected into the dermis or into the lips. The injection technique and skill of the practitioner is instrumental to achieve the desired outcome. To inject, use the provided 30G needle and inject slowly while employing the suitable injection technique. Inject the amount of product necessary to achieve the desired correction. Linear threading, serial puncture injections, fanning technique, crosshatching technique or a combination may be used to achieve optimal results. Correct to 100% of the desired volume effect. Do not overcorrect. After injecting the product, gently massage the treated area to ensure uniform distribution. Treatment is usually completed in 1 or 2 injection sessions. These effects are only temporary, so repeat injections are necessary to maintain the effects. 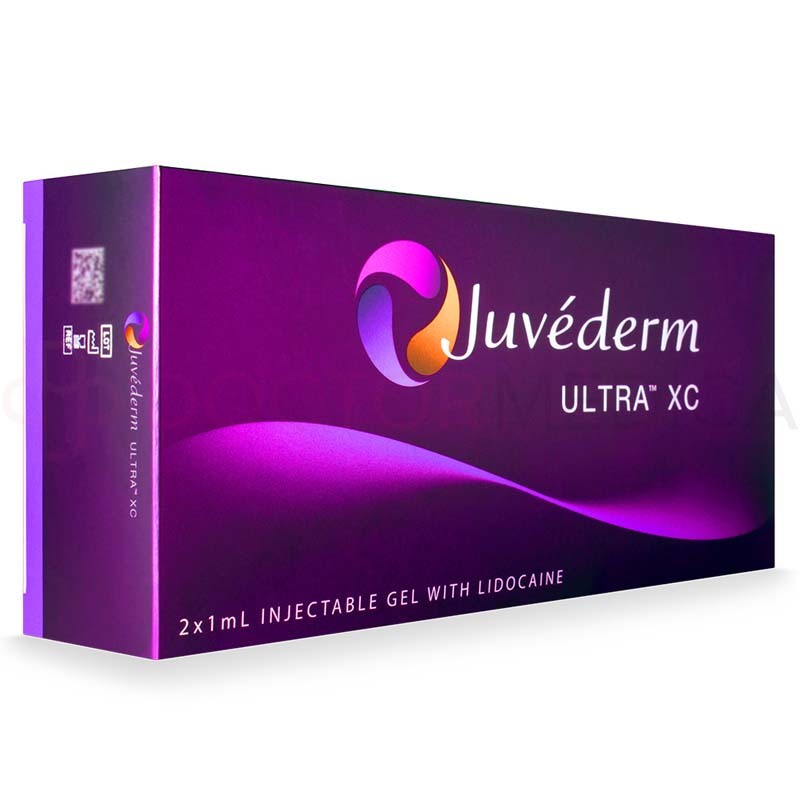 Juvederm Ultra XC is indicated for the correction of moderate to severe facial wrinkles and folds, and to add volume to the lips. 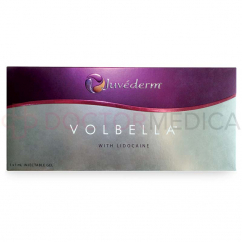 This product is injected into the dermis to treat facial wrinkles and folds, such as nasolabial folds (skin folds that run from each side of the nose to the corners of the mouth). 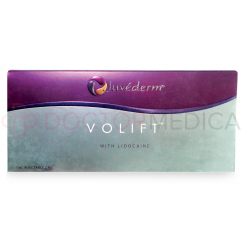 Additionally, this dermal filler can be used on the lips to contour and add volume. Results are instantly visible and last up to a year depending on the individual’s age, skin type, lifestyle, and other factors. 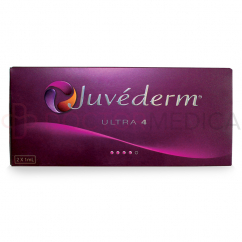 Juvederm is a massively popular brand of dermal fillers renowned for their safety, efficacy and longevity. 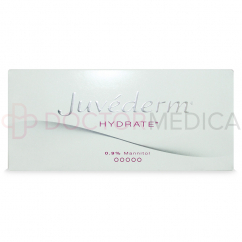 Use Juvederm Ultra XC to revitalize your patient’s face today. Ideal candidates for this treatment are adult patients who are seeking to correct various age-related skin concerns such as moderate wrinkles and folds or to enhance their lips. 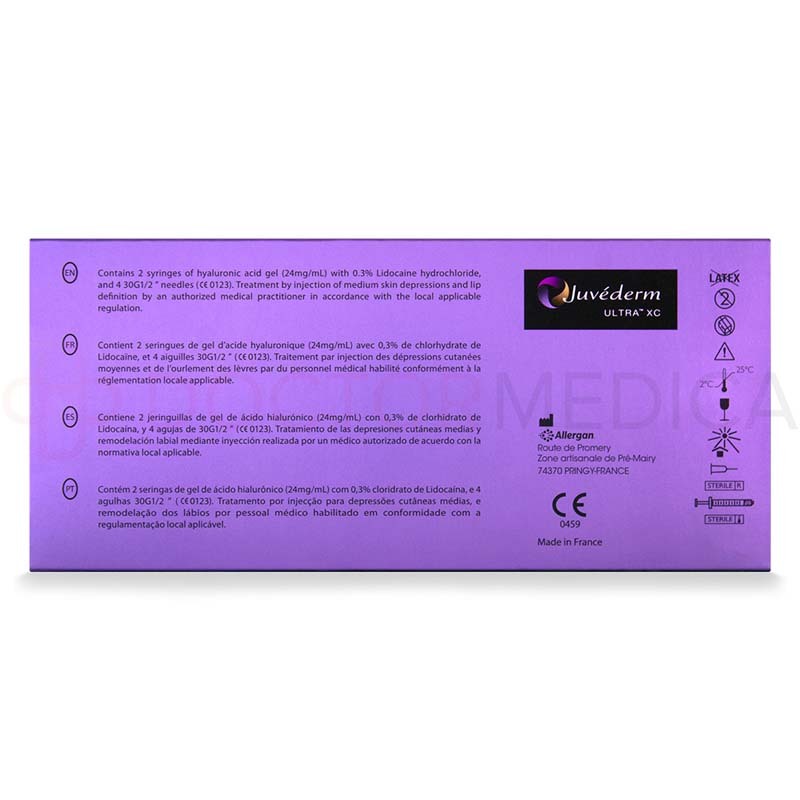 This product is contraindicated for patients with severe allergies indicated by a history of anaphylaxis, with a history or presence of multiple allergies, or allergies to any of the components of this filler. The safety for use during pregnancy, in breastfeeding females, or in patients under 18 years of age has not been established. The safety in patients with known susceptibility to keloid formation, hypertrophic scarring, and pigmentation disorders has not been studied. Juvederm Ultra XC should be used with caution in patients on immunosuppressive therapy. After treatment, patients may experience some reactions related to the injection procedure. These effects are typically mild or moderate in nature and are short-lasting (7 days or less) in duration. These reactions may include redness, pain/tenderness, lumps or bumps, swelling, firmness, itching, discoloration, or bruising at the injection site. Should these symptoms persist or worsen, your patient should seek medical help. This procedure also carries with it a risk of infection. In rare instances, more severe reactions have been known to occur as a result of accidental injection into a blood vessel. This is very rare, but it produces serious and permanent complications, including vision abnormalities, stroke, blindness, permanent scarring of the skin, or temporary scabs. For more details, a full list of contraindications, precautions, and potential adverse events can be found in the package insert.